Series 3210 overlaminate is constructed of a gloss cast vinyl film with clear, permanent pressure-sensitive adhesive. This overlaminate is designed to protect printed images and prolong the life of the printed image. Series 3210 provides the same protection as our standard overlaminates while having excellent conformability during installation with a lighter weight film. 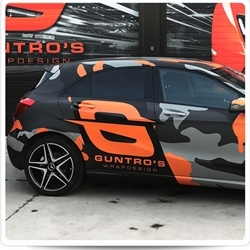 The gloss finish provides an extra pop to printed graphics. Series 3210 is rated for outdoor durability up to 7 years. This product is not designed to be used as an optically clear window film.